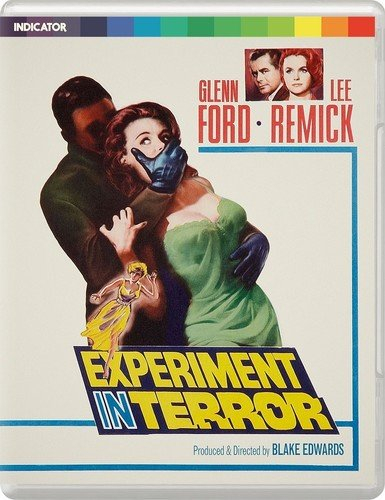 Crime thriller directed by Blake Edwards and starring Lee Remick and Glenn Ford. After being visited by deranged asthmatic Garland 'Red' Lynch (Ross Martin) in her garage, Kelly Sherwood (Remick) is told to steal $100,000 from the bank where she works, with the threat that her teenage sister Toby (Stefanie Powers) will be killed if she goes to the police. Despite this, Sherwood contacts the FBI, bringing agent John Ripley (Ford) into the fray and prompting a dangerous game of cat-and-mouse with the psychotic killer.